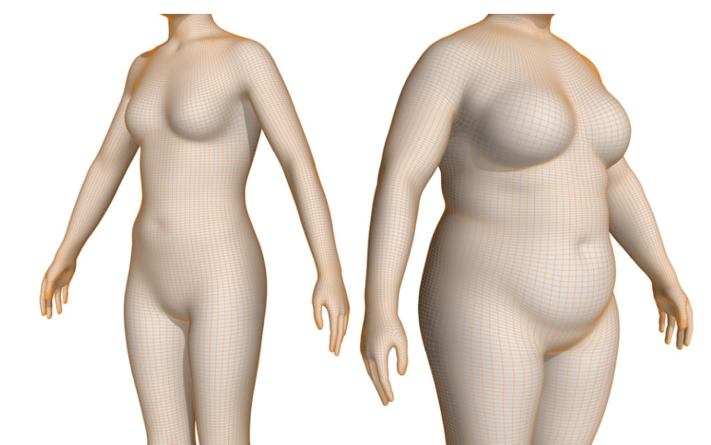 Dress forms and body shape – can the standard dress form hourglass figure be improved upon? Note: The companies below are examined from a U.S. perspective. Any companies wishing to be added to this list should contact the University of Fashion. Information contained in this post reflects the known status as of March 2019. Cost ranges are noted in U.S. dollars and do not include shipping or taxes. Please double check links for the latest information. Adjustable forms, which have been around for many years, are targeted to the home sewing and low volume sewing markets. Note that any active movement (this includes breathing) by the customer affects measurements of the upper body including but not limited to the waist, bust and under bust. Only one brand (Ronis Brothers) has an adjustable breast location. The measurement range for adjustment varies by form brand, so understanding the dimensional variations is required. The adaptability of these forms is limited to girth and height, and the resulting shapes will approximate traditional sizing charts. Even after accounting for nominal size, these forms still need pads to adjust for proper shape. The adjustable dress maker forms cannot be used for draping, as direct pinning is not possible. The companies who manufacture adjustable forms include: Singer, Dritz, PGM Dress Forms, Ronis Brothers, and Rozy Display. See Table 2, Adjustable Dress Forms at the end of this blog for more details. Foam Pads Kits are being used to further adapt and customize dress forms, full body forms, and adjustable dress forms/mannequins. 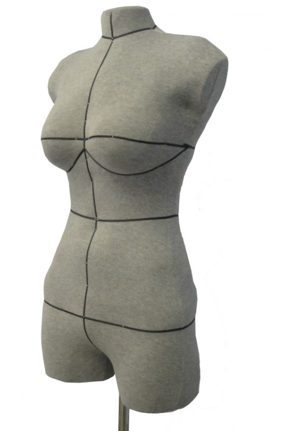 These pads can be used with any sewing mannequin or dress form or full body form by any brand for both women and men. If you have an inverted triangle shape, you will need to size the dress form based off your hips and pad the bust. If a diamond body shape is appropriate, you will need to determine which is the smallest between the bust or hips, and then pad the waist. Most derrieres on dress forms are pretty flat, so if your shape is different, padding will be required, and you may need to start with a smaller size and add padding to attain the appropriate shape. Depending on the garment (corset versus sports bra), the configuration of the breast can take on different shapes and the padding may vary. 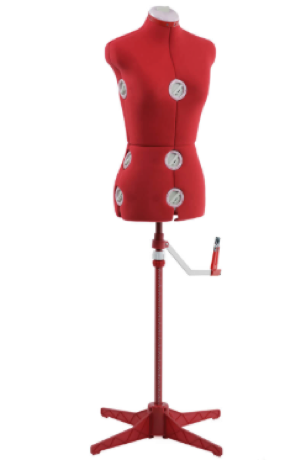 The Fabulous Fit Dress Form Fitting System is an off-the-shelf pad system which has 17 pads and two body covers and is sized to fit various dress form sizes (small to extra-large). The padding allows for adding 1 to 3 inches (2.5 cm to 7.6 cm) in various areas on the dress form. Due to the number of pads, various body types can be accommodated. These can include straight/broad/round shoulders, wide/small back, high/low rib cage, high/low/large bust line, large stomach, high/low upper hip area, full upper hip, thighs and large hips, and others. Extra pads for bust, stomach, side back, side hips and thighs are available. Dress form covers are available in either side-seam cover, princess seam, or with a neck-to-ankle princess cover with a back zipper. There are instruction videos on the company’s website for adding appropriate padding in proper locations. 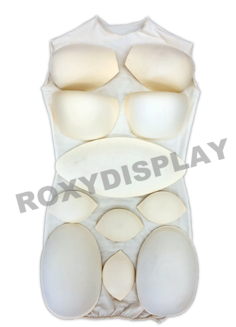 Roxy Display offers yet another dress form padding system. It consists of a 12-piece system that can be applied to all standard dress forms. Pads are listed for shoulder, bust, stomach, hip, and waist. The stretch cover is shown fitting over a size 6 form. Instructions are shown on the Roxy Display website. The cost is around $30. To save money, there are many DIY posts on creating your own dress form. Methods can be summarized as body casting, good-old duct tape, or patterns. The links in the following table are not all inclusive but give examples of different methods. Would you want to try any of these methods? Custom forms tend to be for an individual and therefore, creating a body form for everyone is not scalable in the retail market. One form per customer would not be practical. However, if a brand wants to have dress forms of various shapes for design purposes, custom forms developed from fit models or models that match closely with the brands market may be a good place to start. Requirements for customer information are obtained by measurements only, phone app or body scanning. If the customer changes their mind and does not want a form, there is a charge for the scanning kit. The cost for the first custom form is around $1200+ range. If a customer needs a bodice update, the cost is about half of the first form. Ditto Form, Michigan LLC working thru Personal Fashion is another company that makes a copy of the customer’s body into a dress form with crotch. The company has set up a scanning schedule for U.S. customers for calendar year 2019. Further information is available on the PersonalFashion.us website. The process involves a 3D scan using a Styku scanner. The resulting digital image is overlaid onto a durable yet flexible foam form. The finished product comes with a custom cover that is matte grey knit with black markings. Customer data is not shared with Styku. Styku does use the aggerated data, as stated in the customer agreement, but there is no way to identify individuals. However, Ditto Form does keep the original and working files from orders up to one year. 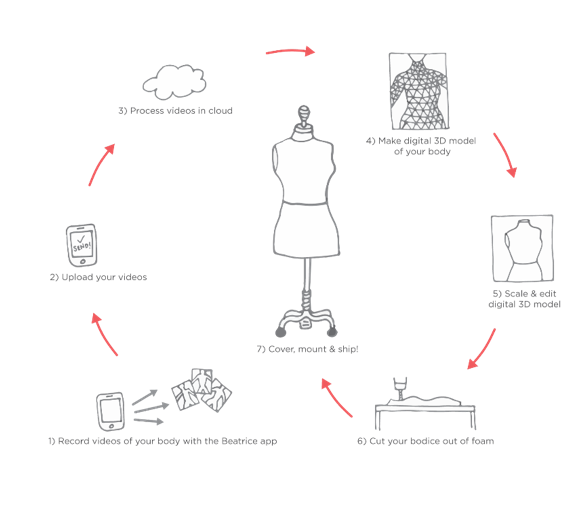 Scans not immediately placed into dress forms are kept for up to six months. There is a charge for the scan that is incorporated into the dress form cost. The total cost for the custom dress form is around $1400+. 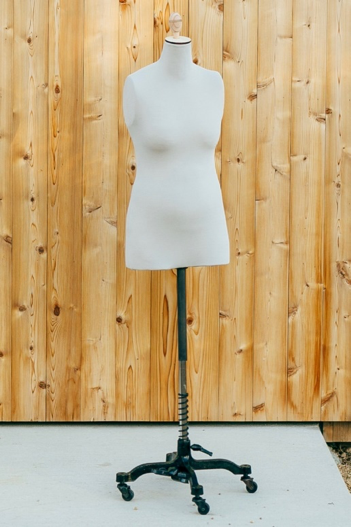 An independent full body 3D scan is available as well for $500. Classy Dress Forms is another company that uses 3D scanning to obtain customer data and after processing the data, manufactures a 3D model by a 5-axis milling center accurate to 0.5 mm. A jersey cover is individually sewn for each dress form. The cost is $1690. However, this does not include the travel expenses of the measuring specialist. They are paid separately. If scanning and phone apps become more common, would more shapes of dress forms become available for smaller brands or start-ups? The physical forms that allow brands to test designs for size inclusivity are improving. However, the cost of true custom forms can be very expensive compared to the cost of the “off-the-shelf” forms. 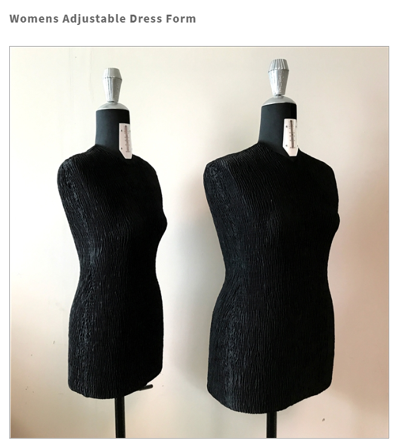 However, the capability to change physical forms is important for students to understand body shapes such that garment interactions may change with various body shapes, especially when designing fully bespoke garments. Students can learn to appreciate different body shapes by using pads in conjunction with standard dress forms as an affordable option. Students should ask themselves, how they would change dress forms to be more inclusive? Foam-Backed Fabric Exterior allows you to easily pin dresses, skirts, tops and patterns.